So what does it smell like? 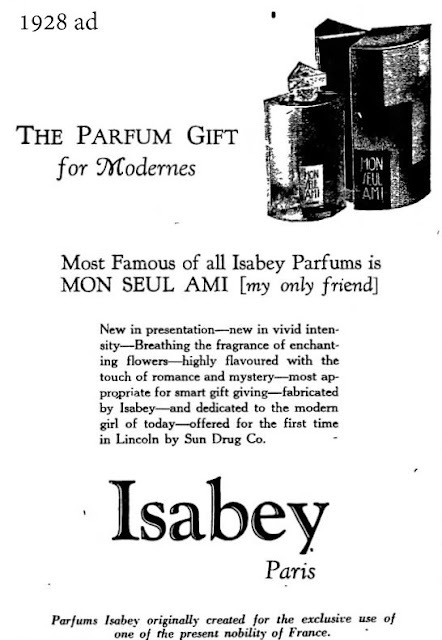 It is classified as a warm floral fragrance for women, but I have no notes on this composition. 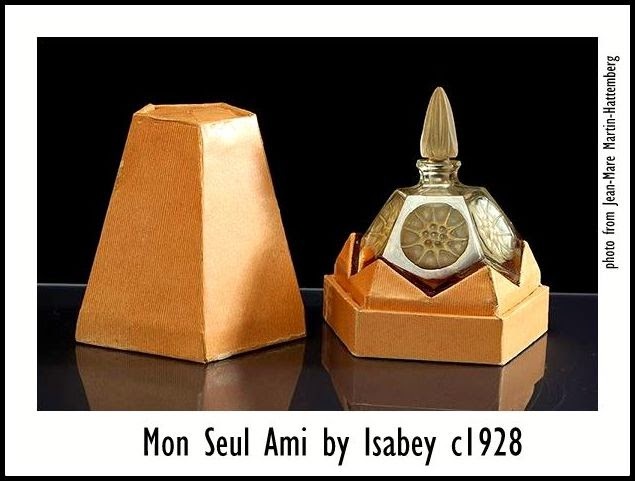 "Isabey Presents A Distinguished New Parfum MON SEUL AMI Simultaneously with the advent of the smartest social season, Isabey presents Mon Seul Ami — a new and distinctive odeur. 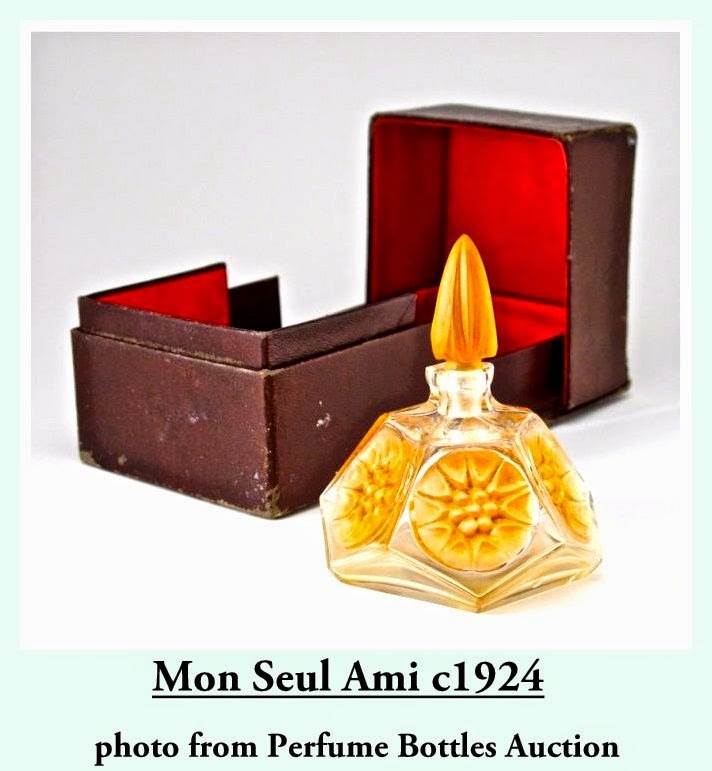 With its richly exquisite fragrance, its subtle..."
1924 Bobin Freres manufactured ,Henry Hamm designed, Isabey Mon Seul Ami perfume bottle and stopper, clear/frost glass, sepia patina, box. 5 3/4 in. photo by Perfume Bottles Auction.